It always a bit nerve racking when you are tackling anything new... Luck be with you! Let us know how it works for you. I definitely will let y'all know how it goes. Are you sure it's worth the risk? I tried using spray glue to baste layers together for a quilted bag and it totally ruined it. The outside fabric puckered up on the batting, and was impossible to straighten out once the bag was finished. I won't use any kind of glue ever again. Hope it's worth the risk! I already have 3/4 of it done. I am anxious to see if it works. If so, that is soooo much easier than pinning. 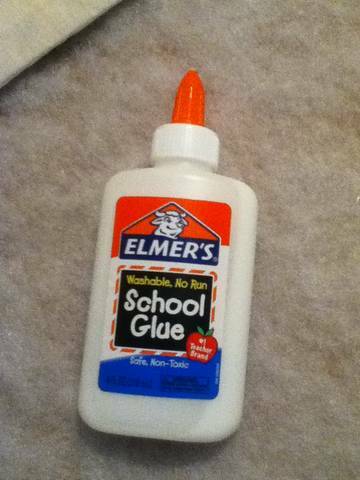 I have basted several using Elmer's School Glue. Works great.....no pin, no puckers......it doesn't get any better than that! I just basted another one with Elmer's School Glue. I am happy with this method so far. I've done 4. The biggest was lap sized but it didn't fit on my table so had to do in sections. I'm jumping in with a King sized tomorrow. Lots of starch, lots of glue! How do you put the glue on? I haven't seen anything about this method. I just tried it for the first time yesterday on a table runner and I LOVE IT! I don't think I've ever had a project lie so smooth or quilt so easily. The binding was a cinch to put on and it was fabulous. I washed it today and it is perfect!!! Would love to hear how you ladies do it? Pictures would be great too. I just finished a quilt after basting with Elmers glue and it worked great. I haven't really tried it before, but I'll take pics today and show as I go! Well, so far, so good. 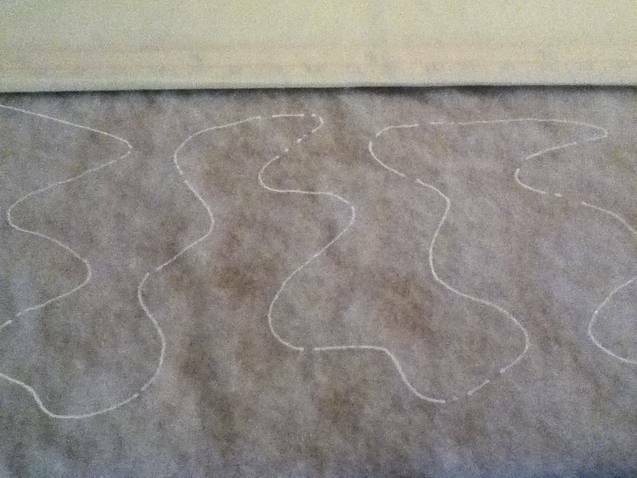 I had to baste in sections (I do that even when I thread baste) because I don't have a place big enough to do it at once and I don't get up from the floor so well anymore, lol. It looks good so far and it's STUCK for sure. I'm not at all worried about it coming apart before I get around to quilting it. We'll see how it quilts. There are a couple spots on the back I can see the glue line a bit. I just tried big swoopy swirls straight out of the bottle. The quilt top side, I don't see any glue lines at all and it is smoooooth. :-) I'm anxious to get this quilted and see what I think, but I have a lot to do to get ready for Thanksgiving and I'm not sure if I'll get to it before then. Ok, I'm not sure I did it right. 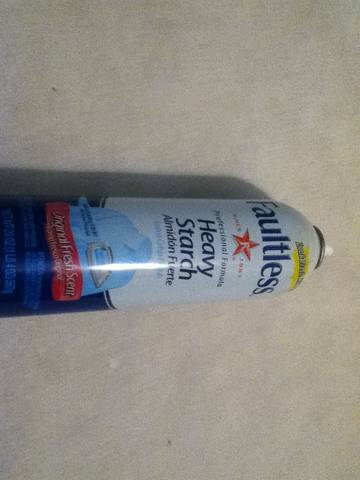 This is the kind of glue and the kind of starch I use. I used 100% polyester batting and 100% cotton fabrics. I was not sure that the poly would work. However, it did a great job. I wasn't able to do my King today, so I started and finished this cute wallhanging instead!! I don't understand using the starch too...why?? The glue holds perfectly fine without using anything else. Actually, from what I read the glue IS a starch so you wouldn't need starch too. I'm in favor of making it as easy as possible. Let us know how it works. I'd be afraid the glue would gum up my machine. But, it might just flake off inside and not really bother anything. Good luck! I didn't press my fabrics before I glued it down. So I spread glue, sprayed starch and pressed it once. That way, I totally covered the quilt and batting with glue/starch but there is no heavy glue build up. It stiffens the fabric and makes it "slick", makes it easier for me to control while I'm FMQ. I've used starch and no glue (a few pins) for the same reasons. It's an affordable, watered down, spray version of the glue. YMMV. I did a twin size quilt last week with glue. Lay the batt down on some surface. I used my queen bed. Smooth the back down on top of it. Lift up about half of the back fabric, drizzle glue all over the batt (you don't need a large thread, just a thin line). The lines can be up to 6 inches apart, or just put down spots. Fold the back down again and smooth very well. Now work on the other side. Fold back, drizzle glue, smooth down. You can let this sit until dry, or use a hot iron and just press down on a lot of spots to dry the glue a little faster. When the back is dry, turn it over and do the same thing to the front. Smooth it on, fold back, drizzle glue, smooth back in place. Then do the other side. Let dry or use the hot iron. 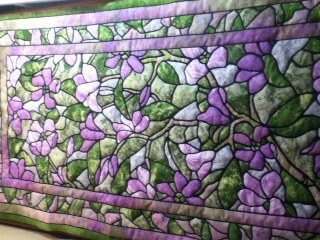 After this was done, I picked up my quilt as if it were one piece of fabric, took it to the sewing machine and did FMQ. It never moved. This is so much fun. I hope you try it. Ws wondering would this work for applique instead of wonder under or steam2seam? What a great question? I use Steam-a-Seam all the time but wouldn't it be great if this glue could be used instead ... especially when I have run out of the fusible and live too far from the store? Here's hoping someone has tried this and will report back. I think Elmer's glue washes out so might no want to use on appliqué that is to be washed.